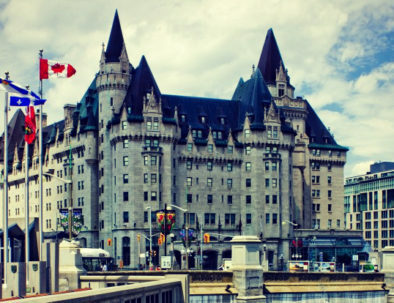 Ottawa (de)tours – Ottawa's smartest walking tours. A unique local experience. 2019 season runs May to November. Expert guides, local content, thought-provoking material. Choose from our packages below. We offer one large monthly tour for many of our walks, as well as small, private tours upon request. We also customize for many occasions (conferences, school trips, professional retreats); get in touch if you have something special in mind. This is your chance to experience one of our tours in a larger setting, and at an excellent price. Get your friends and family together, this is one journey through town you'll think about for a while. We typically offer some of our walks as part of the annual Ottawa Jane's Walk. See 2019's offerings on the JW site. There really isn't anything like our company around Ottawa. For the past 6 years, we've crafted and made better a walking tour model that is thoughtful and fun. 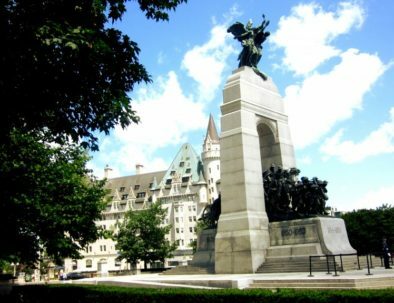 Our experts lead you on a thematic tour of Ottawa that's nothing like what you'd expect: you could look at immigration and citizenship, public space, surveillance, architecture, or the social lives of statues, among the many themes we examine. "Public" space: are you sure you belong? They are often tucked away underground and on rooftops, behind unmarked doors or hidden in plain sight. Join us as we explore a range of ‘pseudo-public spaces’ and experience how they can make us feel welcome or uncomfortable. Food waste: how do you tr(eat) your food? Just us as we root through the complicated attitudes, perceptions, and actions making up our food waste ecosystem. For the love of concrete - the often unappreciated legacy of the grand and heroic buildings, landscapes, and urban plans that transformed post-war Ottawa. Monthly dates don't work for you, or want a more intimate walking tour experience? Are statues stuck in time? Join us as we explore how Canadian confederation (and colonialism) have shaped Ottawa's built environment. What does surveillance mean to you? Does it evoke Snowden, closed-circuit television (CCTV) cameras, or google and facebook listening in on your conversations? Excited we exist? Join us, talk about us, write about us! "What a lovely tour - I have been living here for 20 years and didn't stop to appreciate the mixed architecture found within this lovely city. I have to say I will never look at Ottawa in the same way - which is a good thing. Definitely recommend this to anyone. Certainly not a typical tour that can be appreciated by visitors and permanent residents alike." Sign up to our newsletter to receive information about our 2019 season launch, new tours, and all that's new with our company.